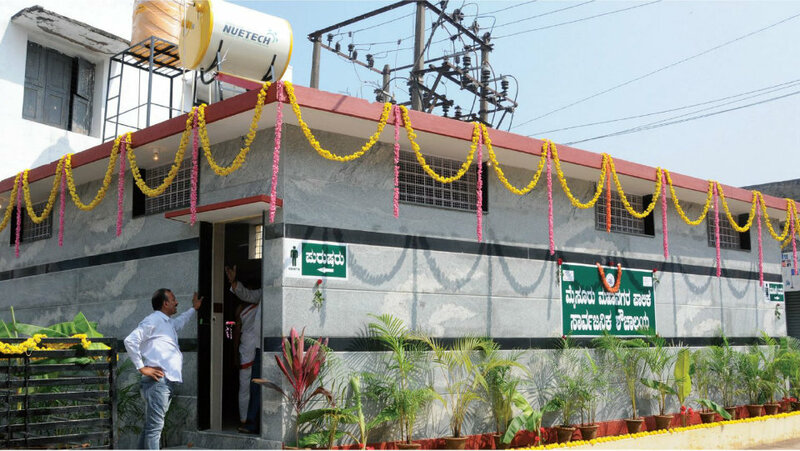 Mysuru: Mayor M.J. Ravikumar inaugurated the new toilet at Boti Bazar close to Devaraja Market in the heart of the city yesterday. The new toilet has been built in 240 sq. ft. area after demolishing the old one. The new toilet has also a bathroom fitted with a solar water heating system, apart from latrines and urinals. The toilet has been constructed in L-Shape at a cost of Rs. 20 lakh. The toilet, which is a ‘Pay and Use’ one will be of much benefit to the working class and daily visitors. Dy. Mayor Rathna Lakshman, MCC Commissioner G. Jagadeesha and others were present.